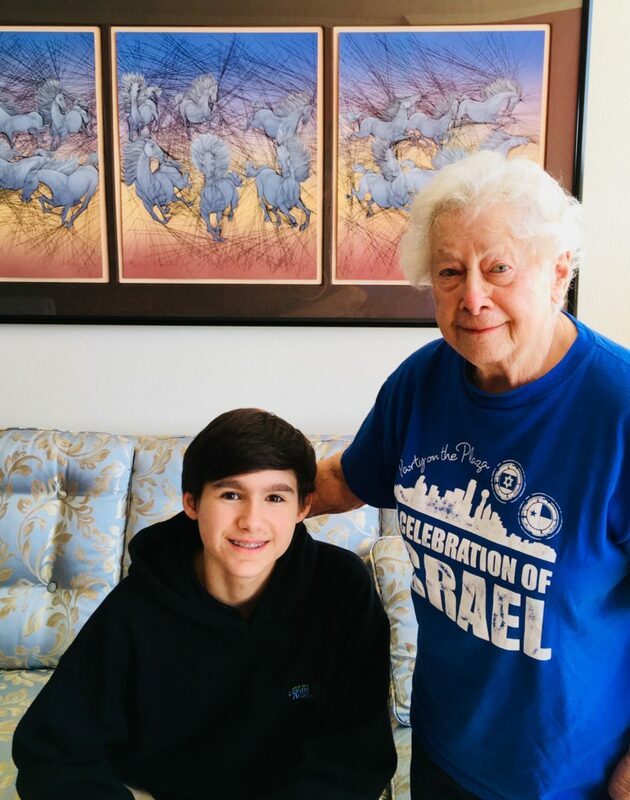 One person’s “stuff” being another’s treasure is the theme of 13-year-old Jonathan Pershes’ Treasures Mitzvah Sale from 8 a.m. to 2 p.m. Sunday, April 8, at 16007 Ranchita Drive in Dallas. Proceeds will benefit the Dallas Holocaust Museum/Center for Education and Tolerance and the Hebrew Immigrant Aid Society (HIAS). Jonathan is the son of Clifford and Michael Pershes, a member of Congregation Anshai Torah and a seventh-grader at Levine Academy. The sale of books, home goods and decor, and clothing (all sizes, in good condition) will accompany the sale of homemade lemonade and challah — a welcome taste for many, given Passover will have just ended. Born in Germany, Furst, her mother and brother, Dallas’ Bert Romberg, escaped to Great Britain via the Kindertransport after their father died and Kristallnacht occurred. HIAS helped place her in a boarding school, and she later worked for a dentist before the family came to the U.S. in 1945. In New York, she met and married Harry Furst, of blessed memory, with whom she built a family of children, Richard and Robin, and grandchildren, Augie and Manie. HIAS helps vulnerable refugees of all nationalities and religions build new lives and reunites them with their families. Others coming first isn’t a singular bar mitzvah project to Jonathan; it’s the way he lives every day. He volunteers, alone or with family and friends, his “Mitzvah Bro Posse,’ with the Austin Street Center, Chabad’s Friendship Circle, the Dallas Food Bank, Jewish Family Service, Palm Spring’s Well of the Desert and others in the community. “Jonathan, Yonatan, means gift from God. We thank God every day for this incredible present and that’s who he’s always been,” said his father, Michael. 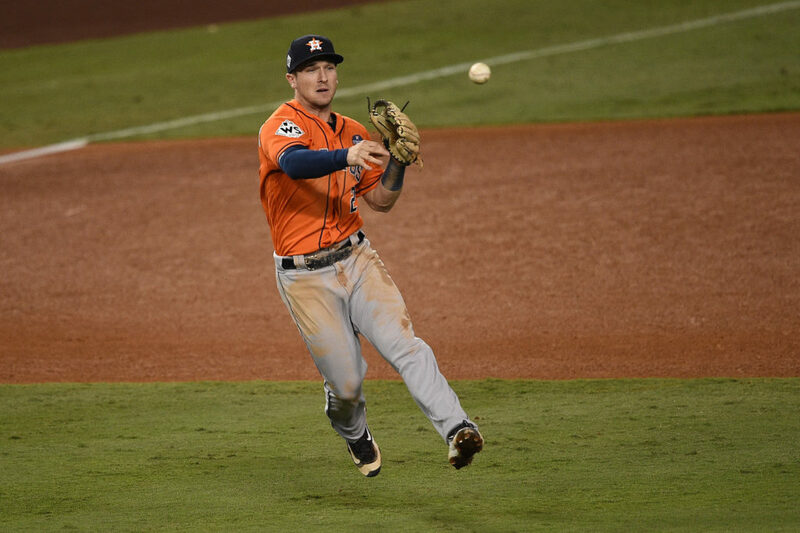 “We’re always proud of him, but still amazed at the transformation that is now happening from boy to young man.” Michael added that Jonathan’s middle name, Simon, honors a revered uncle who lived to 104. Outside of school and volunteering, Jonathan’s rarely happier than when he is playing basketball for the Chai Force basketball league or the Levine Stallions, bicycling, playing video games or cooking with his parents. Prepping to score high at his May 5 bar mitzvah, at which he’ll welcome friends and family including his grandparents Pat and Scott Jimeson, Alice and Mike Kearney, Bob and Ellie Pershes, Pat Defreitas and aunts Shannon and Heather Defreitas and Mer Pershes, Jonathan is making mEMORies (for Parashat Emor) throughout the community, the one he’ll soon join as an adult in its eyes, an example to his peers, those whom he follows and those next in line. To donate items to the Treasures Mitzvah sale, or to make a financial contribution for Jonathan to share on this occasion, email pershesfamily@gmail.com or call 917-531-6576 for drop-off or pickup arrangements. In many ways, it was a Seder like so many others — matzo, the Four Questions, charoset and, most importantly, the tale of the Exodus. “The Exodus from Egypt is the core experience” of the Jewish people, co-host Richard Wasserman told his guests. As such, it was his duty to help tell the story and answer questions. And questions there were. For many of those gathered at the Wasserman home, it was a brand-new experience. The American Jewish Committee Diplomatic Seder brought together members of the local consular corps and other community leaders. Nations represented included The Netherlands, Belize, Japan, Mexico, Spain, Morocco, Tunisia and Canada. James N. Falk, honorary consul for Morocco, served as honorary chair. “This is the third year that Dallas has held a diplomatic Seder,” AJC Regional Director Joel Schwitzer said. “We saw it as a unique way to engage with our local diplomatic corps. Within the framework of the Seder, there are natural opportunities to weave in conversations about justice, human rights and shared values. Schwitzer said the Wassermans played a huge part in shaping the Seder, from the Haggadah to connecting the food to the symbolism for international guests. Tina Wasserman, Richard’s wife, is well-known for her work writing about Jewish cooking, including her Entrée to Judaism books and stories at ReformJudaism.org. She is a regular TJP contributor. The Wassermans hosted last year, and Tina said she was excited to do it again. “It’s very important for the two of us to show the community and, in this case, the international community, a little insight into the holiday and the reason,” she said. Tina Wasserman clearly was in her element explaining the ingredients of charoset and why they are different for Sephardic and Ashkenazi Jews, the history of gefilte fish, and more. “It’s my love. It’s my raison d’etre,” she said. Richard Wasserman found many ways to tie the themes of the Seder and the Passover story to current and timeless issues. Dignitaries were given the honor of reading the Four Questions and then reading them in their home language. Edwin Tench, honorary consul for Belize, was one of those who took part in the Four Questions. He attended last year and was determined to come back — and to tell his ambassador in D.C. This year, Tench and his wife were chatting with fellow representatives, as well as Bradley Laye, president and CEO of the Jewish Federation of Greater Dallas, and Regina Onyeibe, Africa Liaison for the City of Dallas. Francisco Merino Cabrera, consul representing Mexico, was attending a Seder for the first time and, being new to his post, still getting to know his fellow members of the consular corps. “I expect to learn a lot of things,” he said beforehand. At the end of the night, as the guests took turns to stand and share their thoughts, he spoke about how much he was moved by the Seder, and how as a “citizen of the world” he wants to see people come together. “We’ve gotten such great feedback from the diplomats,” Schwitzer said. “What has stood out the most to me was a comment former Consul General of Mexico Octavio Tripp made at our first Diplomatic Seder in 2016. As the program wound to a close, Consul General Tripp expressed his appreciation for the opportunity to learn more about our traditions, remarking that his connection to AJC has taught him how much heart the Jewish community has. At the time he knew that he would be leaving in the coming weeks to take an ambassadorship in a yet-to-be-determined Middle Eastern country. He let us know this and said that wherever he found himself posted, he would be turning to AJC as a trusted friend and valuable resource. Shortly thereafter, he was appointed ambassador to Egypt. The representatives of North African nations were thrilled to be back, and Falk said he was excited to be honorary chair of the event. Last year’s Seder was his first. “I had heard the word Seder, but if you asked me what it was, I couldn’t have told you,” Falk said. 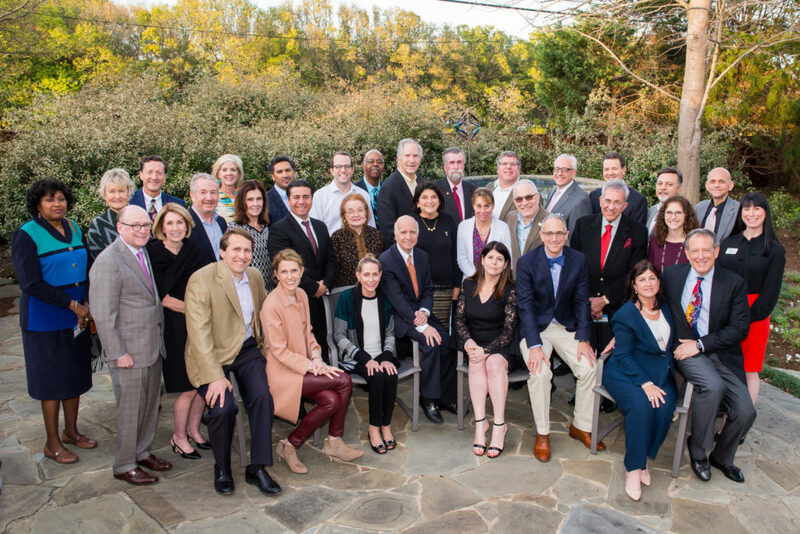 The president and CEO of the World Affairs Council of Dallas and Fort Worth since 2001, Falk has been very involved in bringing diplomats, business and cultural leaders, and the global-facing community together. That fits with the AJC’s mission, and some of the dignitaries have regularly worked with the Jewish advocacy group. AJC has worked hard to build better ties between the world and Israel and the Jewish community. Frank T. Kryza, the honorary consul for Tunisia, has personally seen the difference up close. Kryza began an internship at the U.S. State Department on the day the Six-Day War broke out in 1967. “That would be unimaginable today,” he said. Kryza said moderate Islamic nations are moving to form “deep, solid relations with Israel,” and mentioned Tunisia’s efforts to protect a Jewish community that has been in North Africa for millennia. Falk noted steps taken in Morocco as well. “In most cases, we want the same things for our people and our children. In Morocco, the king is viewed as commander of the faithful. … The king takes the title seriously, not just for Muslims, but Jews and Christians as well,” he said. What do a Jewish rabbi, Catholic priest, Protestant minister, Muslim imam and Hindu priest have in common? 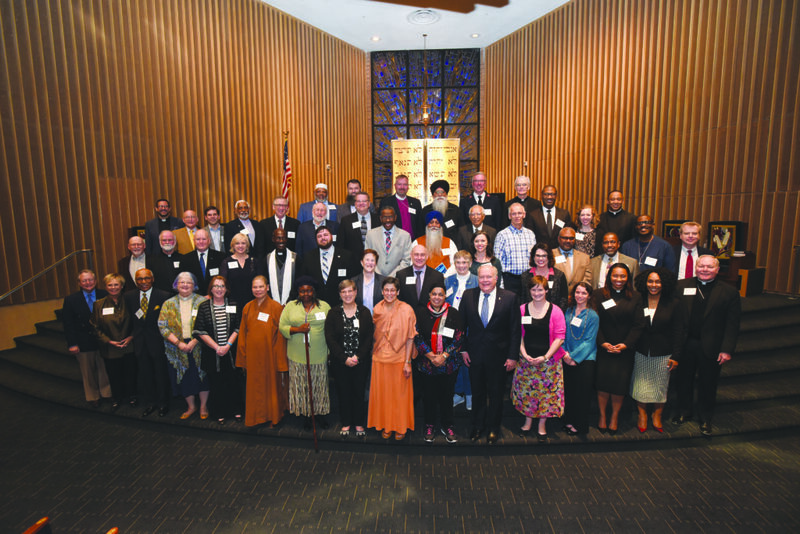 They were all active participants during the Jewish Federation of Greater Dallas Jewish Community Relations Council Interfaith Seder on Thursday, March 22. Dallas County District Attorney Faith Johnson, Dallas City Manager T.C. Broadnax and DFW Salvation Army Commander Jonathan Rich were among the local officials who read passages from the Haggadah. More than 500 people gathered at Congregation Shearith Israel for the sixth annual program. This year’s theme honored the legacy of Dr. Martin Luther King Jr., who was assassinated 50 years ago April 4. The Seder was led by Rabbi Elana Zelony of Congregation Beth Torah and Most Rev. Edward J. Burns, Bishop of the Catholic Diocese of Dallas. Using a Haggadah created specifically for the evening, attendees were treated to the key symbols of the Seder (The Four Cups of Wine; Four Questions; Blessings over the Karpas, Matzo and Maror; the story of the Exodus; The Four Children; The Ten Plagues; singing of Dayenu, the Hillel Sandwich; and, of course, a sumptuous, kosher festive meal). Concord Church Senior Pastor Bryan Carter answered, reading from the Interfaith Seder Haggadah, “The late Rev. Dr. Martin Luther King offered this sentiment: ‘The ultimate measure of a man is not where he stands in moments of comfort and convenience, but where he stands in times of challenge and controversy.’ As we consider how the criminal justice system disproportionately impacts people of color, we ought to be reminded that we are called to work together despite our racial, cultural or religious backgrounds. Following dinner, JCPenney Chairman and CEO Marvin Ellison spoke about what Dr. King meant to him and his family growing up in the small, segregated town of Brownsville, Tennessee. Ellison spoke about his unconventional journey to the top of corporate America and the example of hard work and faith modeled by his parents. His father worked three jobs, too proud to accept government assistance; his mother was a hotel housekeeper. As he closed his remarks, Ellison commented on what impressed him most about the evening. Melanie Rubin is board chair of the JCRC. Cyd Friedman and Byron Sanders were co-chairs of the Interfaith Seder, which was presented by the Texas Jewish Post. All during Passover, we think about Moses (even though he is barely mentioned in the Haggadah), then we continue to read about his role in leading the people through the last pages of Deuteronomy. Countless people have discussed the qualities that made Moses successful and many write about his failures. We know this man through his story and we look to this story for lessons in our own lives. Will there ever be another Moses? (Not according to the final lines of Deuteronomy, 34:10-12 — “Never again did there arise in Israel a prophet like Moses…”) It might be nice to have another Moses, but we definitely need leaders and perhaps wonder if we could be a leader. Now what did she have to say about Moses? First understand that introversion and extroversion come down to how we best derive energy. Introverts recharge from inwardly focused activities and extroverts get their charge through external stimulation. Looking at Moses, you would think he was an extrovert as he certainly had to be around a lot of people, all of them looking to him and needing him. Moses never took the Myers-Briggs Type Indicator, but we know that our sages attributed these important virtues to him — silence, humility and thinking before you speak. We needed a leader who could be alone with God and one who could step up when needed. We need the introverts of the world. Can you imagine your feelings as a northern Jew on the first night of Passover in 1865, a day after receiving the news that General Robert E. Lee had surrendered to General Ulysses S. Grant, ending America’s Civil War? After the youngest child asks the question “Why is this night different from all other nights?” we probably would be thinking of fellow Jews, lost in the war, no longer able to celebrate the freedoms they fought and died for, no longer with us at the Seder table. Because of a shortage of space, let the following remarks of an unnamed Union officer be considered representative of Jewish soldiers in both the Union and Confederate forces. “Personally, I know several Hebrews who served in the California regiments known as the ‘California Column,’ but in the long years that have elapsed, I have forgotten their names. “They were all good faithful soldiers to the flag they pledged to defend. One I remember, Soloman Davidson, belonged to a regiment which saw service in Arizona, Texas and New Mexico. “Davidson was a brave man, carrying dispatches and orders from one part of the command to another, regardless of storms and dangers of Indian ambush. As for Jews living in the South at that time, most lived and worked in cities, rather than on farms or plantations. Any slaves they owned were workers in their homes or laborers in their business. There is an anti-Semitic rant which alleges that Jews dominated the slave trade before the Civil War, but in reality, according to slave historians, Jews accounted for only 1.25 percent of all slave owners. On April 15, 1865, four days after the start of Passover, President Abraham Lincoln was shot at Ford’s Theatre, then carried across the street to a boarding house, where he died the next morning. Some say there is a link between Lincoln’s life and Passover, which marks the end of slavery for the Israelites in Egypt. Lincoln’s death coincides with Passover in the Hebrew calendar every year. We need to also remember the end of slavery in our own country as we celebrate Passover, the story of our ancestors going from slavery to freedom. My parents, of blessed memory, escapees of Czarist shtetls with hopeless futures, experienced their Passover by coming to America to live a life under freedom.